I updated the plugins and theme and now product thumbnails are not showing. Can you please help me? You can check the shop page for example. Thanks! You have 404 error for the js file http://prntscr.com/kgno75 It causes your issue. I see that you are using CloudFlare. Have you cleared CDN cache after the update? No CDN, latest Woo version. Hi, first of all, I renewed my support license only yesterday so that I can have some help. I have cleared the cache through cloudflare. It is not just the thumbnails. The search button on the top bar in homepage does not work and the header with the arrow does not work either. This happened after the update. I expect some help since it is definitely related to the theme as well. same problem for many users…. Hope this could be fixed very fast ! !!!! FIXED FOR ME – IF THIS COULD HELP !!!! Hope this will work for you ! Take our apologies for this inconvenience. Seems some strange glitch happened with the etheme.min.js. @paskyo is right you just need to reupload this file (xstore/js/etheme.min.js) to your server. @paskyo We are very grateful that you helped our customers. Much appreciated! 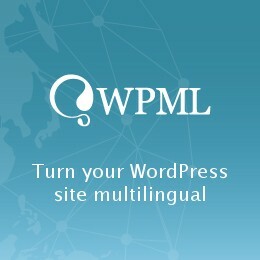 I downloaded the file wp-content / themes / xstore / js / etheme.min.js, extracted it and then re-uploaded it. But it did not work. Also, I have already tried older etheme.min.js files. I really do not know enough about ftp servers.